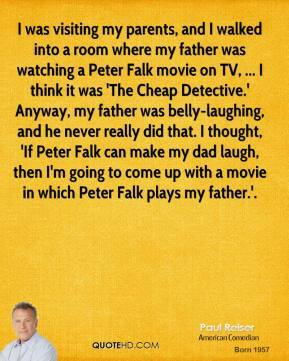 I was visiting my parents, and I walked into a room where my father was watching a Peter Falk movie on TV, ... I think it was 'The Cheap Detective.' Anyway, my father was belly-laughing, and he never really did that. I thought, 'If Peter Falk can make my dad laugh, then I'm going to come up with a movie in which Peter Falk plays my father.'. I like the movie going experience. I like the big screen, going out. I think for me and a lot of people its still a valuable experience. 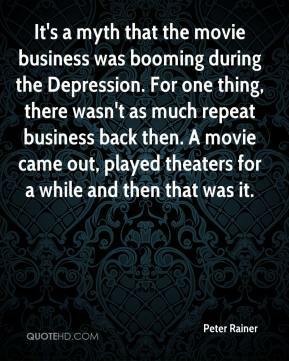 It's a myth that the movie business was booming during the Depression. For one thing, there wasn't as much repeat business back then. 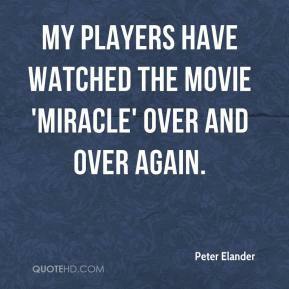 A movie came out, played theaters for a while and then that was it. It's an incredibly appealing movie with a big heart and big comic set pieces. 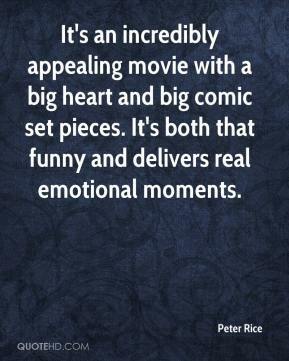 It's both that funny and delivers real emotional moments. 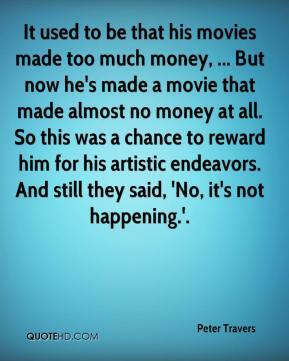 It used to be that his movies made too much money, ... But now he's made a movie that made almost no money at all. So this was a chance to reward him for his artistic endeavors. And still they said, 'No, it's not happening.'. 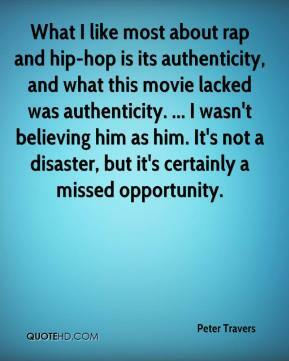 What I like most about rap and hip-hop is its authenticity, and what this movie lacked was authenticity. ... I wasn't believing him as him. It's not a disaster, but it's certainly a missed opportunity. Movie magic is an interactive behind the scene making of the movie. 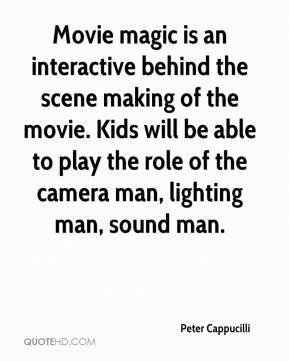 Kids will be able to play the role of the camera man, lighting man, sound man. We enjoyed doing it and we were looking forward to being part of this big New Zealand-made movie but that obviously wasn't going to happen this time, so I hope there'll be another occasion when something similar comes up. Our original films tend to go after an issue or chew on a nerve. 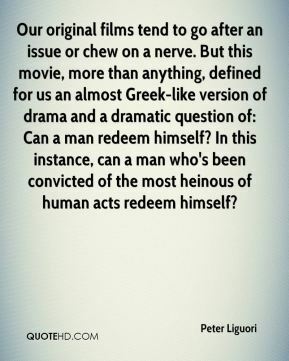 But this movie, more than anything, defined for us an almost Greek-like version of drama and a dramatic question of: Can a man redeem himself? In this instance, can a man who's been convicted of the most heinous of human acts redeem himself? I wish we had the movie rights to this deal, ... 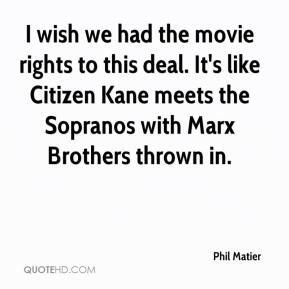 It's like Citizen Kane meets the Sopranos with Marx Brothers thrown in. I wish we had the movie rights to this deal. 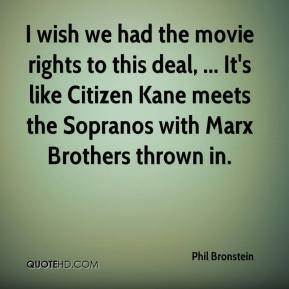 It's like Citizen Kane meets the Sopranos with Marx Brothers thrown in. The movie picks up at my experiences at the second, third and fourth schools. This is where I had principals tell me [ballroom dancing] was too elitist and ask where will these kids ever use it. They didn't see what I saw. 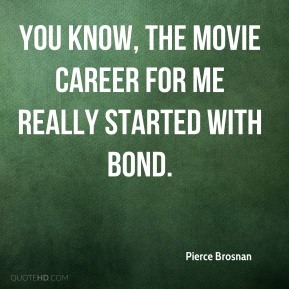 You know, the movie career for me really started with Bond. 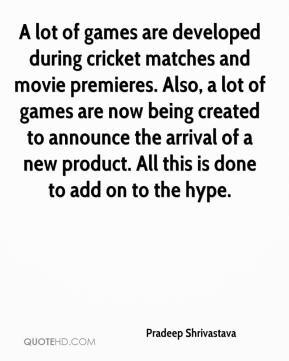 A lot of games are developed during cricket matches and movie premieres. Also, a lot of games are now being created to announce the arrival of a new product. All this is done to add on to the hype. 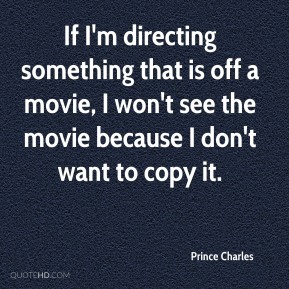 If I'm directing something that is off a movie, I won't see the movie because I don't want to copy it. Tell you what. 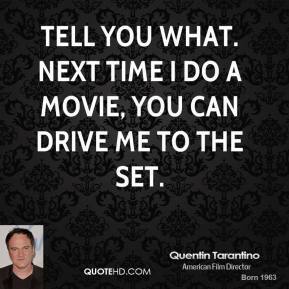 Next time I do a movie, you can drive me to the set. I would tell them to shut up and wait to see the movie, and then judge. 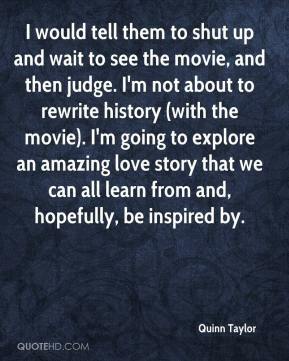 I'm not about to rewrite history (with the movie). I'm going to explore an amazing love story that we can all learn from and, hopefully, be inspired by. The next movie will be in Mandarin. 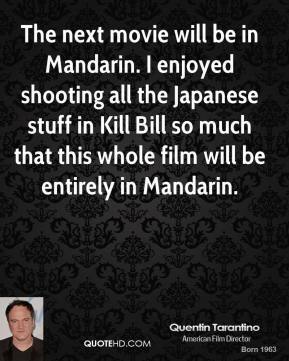 I enjoyed shooting all the Japanese stuff in Kill Bill so much that this whole film will be entirely in Mandarin. 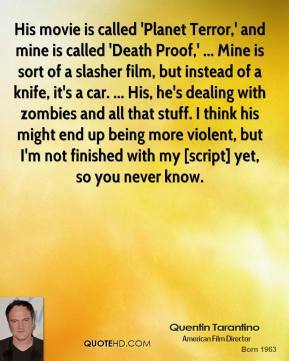 His movie is called 'Planet Terror,' and mine is called 'Death Proof,' ... Mine is sort of a slasher film, but instead of a knife, it's a car. ... His, he's dealing with zombies and all that stuff. I think his might end up being more violent, but I'm not finished with my [script] yet, so you never know. 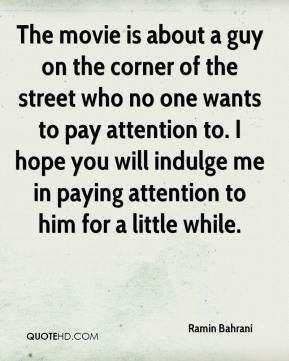 The movie is about a guy on the corner of the street who no one wants to pay attention to. I hope you will indulge me in paying attention to him for a little while. 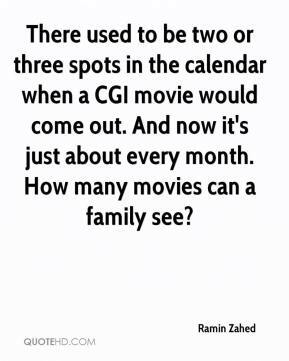 There used to be two or three spots in the calendar when a CGI movie would come out. And now it's just about every month. How many movies can a family see? If there are celebrities, they can't just come on and talk about their movie. It's come on and tell them how to get picky eaters to eat. Where do they hide their junk when people come over? 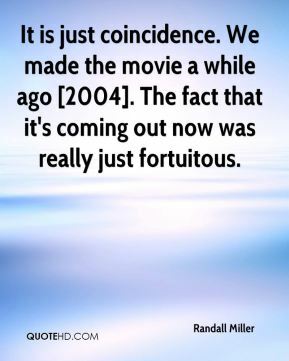 It is just coincidence. We made the movie a while ago . The fact that it's coming out now was really just fortuitous. Today's cop is yesterday's cowboy. 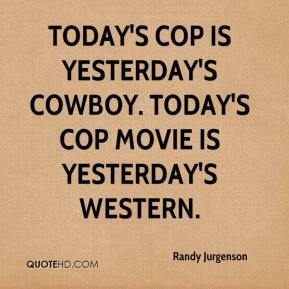 Today's cop movie is yesterday's western.